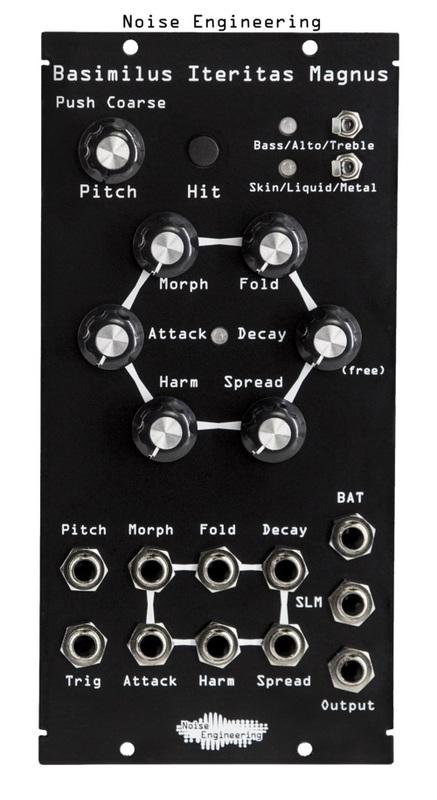 Basimilus Iteritas Magnus is a 5U digital drum synthesizer with its roots in the analog world. 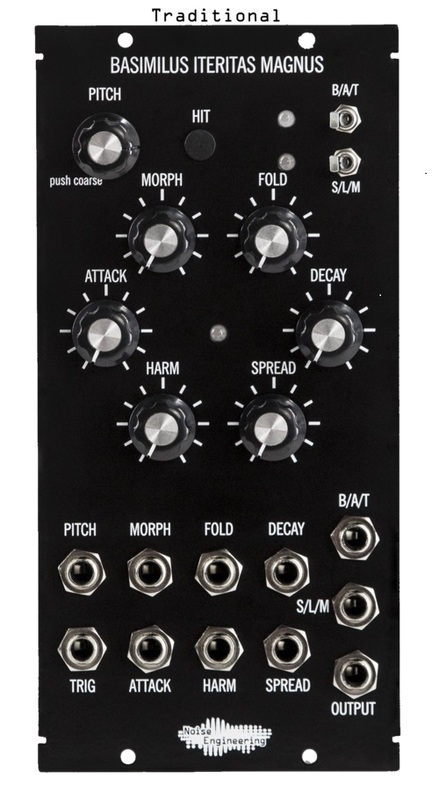 At its heart is a six oscillator additive synthesizer with adjustable waveform, harmonic spread, attack, decay and noise. These get fed into a built-in wave folder for extra crunch.